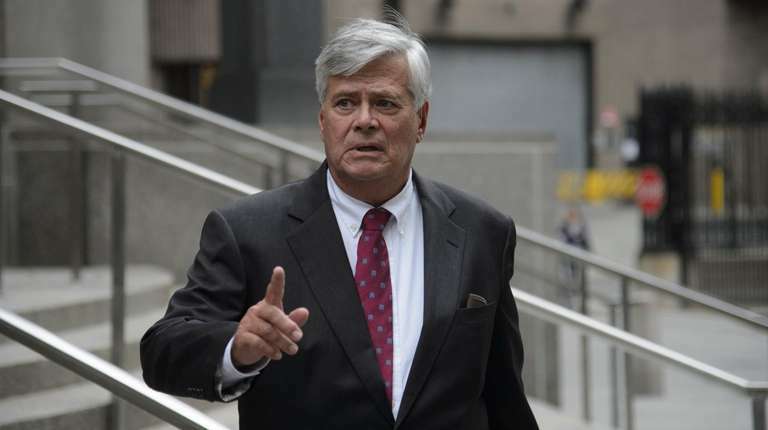 Adam Skelos’ yearly income exceeded $145,000 when his father, then-Albany power broker Dean Skelos, made repeated requests of businesses to help Adam, who he said was struggling financially, according to records shown Friday in the Skeloses’ retrial. The records, compiled by the FBI from bank statements and tax documents, show Adam Skelos took home $145,513 in 2010, including earnings from two companies and a gift from his father of about $10,000. In December 2010, incoming State Senate Majority Leader Dean Skelos began asking real estate developer Glenwood Management in New Hyde Park to steer some of its title insurance work to Adam, according to the indictment. 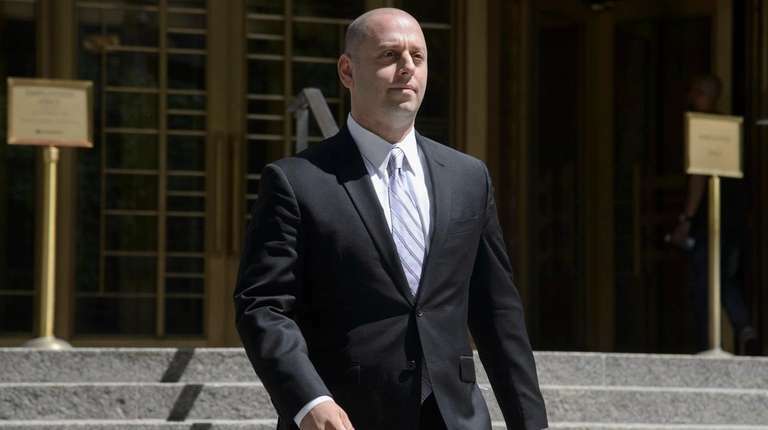 “He said Adam was kind of struggling and he needed some help,” Glenwood executive Charles Dorego testified earlier in the Skeloses’ retrial on federal corruption charges in Manhattan federal court. Dorego also said Dean Skelos’ aid requests intensified over a two-year period that coincided with the State Legislature voting on real estate legislation important to mega-landlords such Glenwood Management. Dean Skelos’ entreaties on behalf of Adam Skelos contributed to an increase in the son’s annual income to $441,099 by 2013, records show. 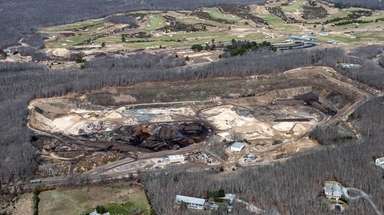 That sum includes a $20,000 payment from a Glenwood-linked title insurer, $68,000 in consulting fees paid by an environment company that was partially owned by Glenwood executives, and $74,120 from a medical malpractice insurer that hired Adam for a low-show job, according to testimony. Dean Skelos, 70, and Adam Skelos, 35, have denied wrongdoing and pleaded not guilty. 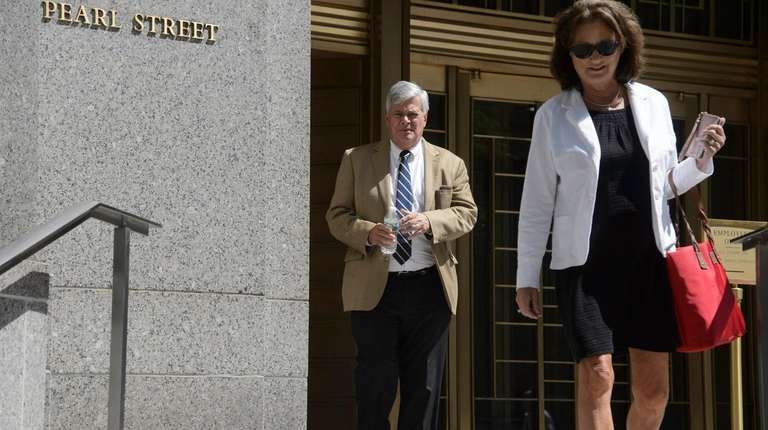 The financial records, which were disclosed on the retrial’s eighth day, also show Ann Marie Skelos, Adam’s wife at the time, worked between 2011 and 2014. Dean Skelos allegedly asked the medical malpractice firm, Physicians Reciprocal Insurers in Roslyn, to direct some of its court-reporting work to his daughter-in-law’s employer, prosecutors said. The father-son pair are accused of using Dean Skelos’ position as one of state government’s three most powerful officials to secure jobs and payments for Adam Skelos. In return, Dean Skelos, a Republican, promised to back legislation needed by those helping his son, according to the indictment. The retrial comes after the Skeloses’ 2015 convictions were reversed because of a later U.S. Supreme Court decision, which more narrowly defined the kind of quid pro quo bribery scheme a public official must engage in to be convicted of bribery. The high court said a public official must do more than make a telephone call or arrange a meeting. The Rockville Centre duo are accused of multiple quid pro quo schemes with three businesses that paid Adam Skelos hundreds of thousands of dollars. Each company needed Dean Skelos’ vote for key bills before the Senate. Later Friday, Mary Jo Corkery, the FBI special agent who analyzed the Skeloses’ finances for the prosecution, acknowledged under cross-examination by an attorney for Adam Skelos that the records don’t provide a full picture. They exclude Adam Skelos’ household expenses and debt obligations but include the value of his employer-provided health insurance. After the jury had left for the weekend, attorneys for Dean Skelos successfully argued that his annual income, which they said was about $500,000, shouldn’t be presented to jurors. “I think it would be prejudicial,” said U.S. District Court Judge Kimba M. Wood. Earlier Friday, a former Senate staffer testified she was directed by Dean Skelos to arrange a meeting with a state agency that could potentially benefit the environmental company paying his son to secure government contracts. Elizabeth Garvey, a former Senate lawyer, said she was told by Dean Skelos’ chief of staff to set up a meeting for AbTech Industries Inc. with the state Department of Health in early 2014. AbTech, based in Arizona, wanted to pitch its water treatment products to the health department as a potential remedy for environmental problems caused by hydrofracking, a process for extracting natural gas from rock formations, according to testimony. At the time, Gov. Andrew M. Cuomo was considering whether to lift the state ban on fracking. Friday, Garvey said she didn’t know that Adam Skelos worked for AbTech when she set up the health department meeting. However, Garvey, under cross-examination by one of Dean Skelos’ lawyers, admitted that it wasn’t unusual for Senate staff to connect companies with state agencies. “It was pretty routine to set up meetings for businesses with state agencies, correct?” asked Skelos attorney Alexandra A.E. Shapiro. The retrial continues on Monday.